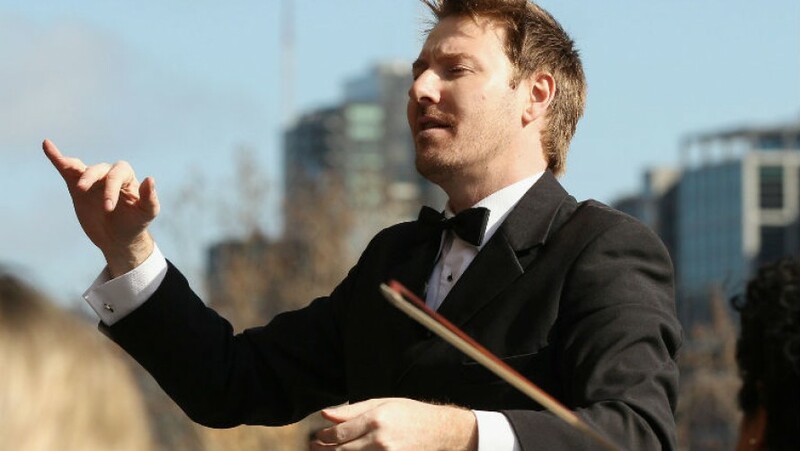 Young conductor Benjamin Northey felt an instant rapport with the Melbourne Symphony Orchestra the first time he stood in front of them in 2003, conducting Beethoven at the Myer Bowl. That relationship has deepened and matured into something rather special in the decade since, Northey believes, and he now spends more time with the orchestra than any other conductor. “The MSO players really mentored me. I was able to ask them questions about rehearsals, they would see areas where I needed to work and would tell me. So whatever success I have now is a shared success, because we have built up this relationship based on mutual investment, and that’s incredibly special and quite rare,” says Northey, whose contract with the MSO was recently extended to 2016. In the 13 years since he won the Symphony Australia young conductor of the year competition, Northey has become one of the rising stars of the Australasian-Asian region, and has just been reappointed to a second three-year term as the MSO’s associate conductor. He was also recently appointed chief conductor of the Christchurch Symphony Orchestra, has conducted several operas for Opera Australia, including Carmen this year, and is a feature on the musical calendar in several Asian capital cities. Studies finished, Northey made the critical decision to blaze a trail by pursuing a career in Australia and Asia. Traditionally, he says, Australian conductors have sought experience in Europe. Conventional wisdom says it is not possible to build a career as an Australian-based orchestral conductor. Read the media release announcing Ben Northey’s reappointment with the Melbourne Symphony Orchestra.